H & N Perry was established in 1950 by the late Harry Perry and his wife Nancy and originally operated from a room in the family home in Cooper Street Mandurah. At the time Mandurah’s population was less than 1000 people and was essentially a fishing village and summertime holiday spot. The agency soon outgrew the modest office and moved to a prominent position on the major entrance into Mandurah, opposite the estuary, and after a number of extensions and renovations over the years it is still the home of the business. A prominent position opposite acres of the beautiful Foreshore Reserve, a mecca for day trippers from the City. Harry and Nancy had three sons and it was inevitable that they would all follow into the business. Eldest son John is today the Principal of the business and has over 40 years experience in the local market clearly the most experienced local operator in the market today. H & N Perry pioneered the 1950’s sub divisional boom in Mandurah by initiating the development of residential estates. From undeveloped bush the company created Coodanup, Riverside Gardens, Coast Road Gardens, Avalon, Murray Bend, Florida Estuary, Town Beach Estate, Florida Ocean, Madora Bay and Lakeside. From this base the company expanded into Residential property management, residential sales, Valuations, Settlements and Commercial & Industrial Property Management and Leasing, with over $100,000,000 of Commercial and Industrial assets currently under management. H&N Perry are the local Exclusive Agents for Pinjarra Industrial Estate developed by Landcorp. 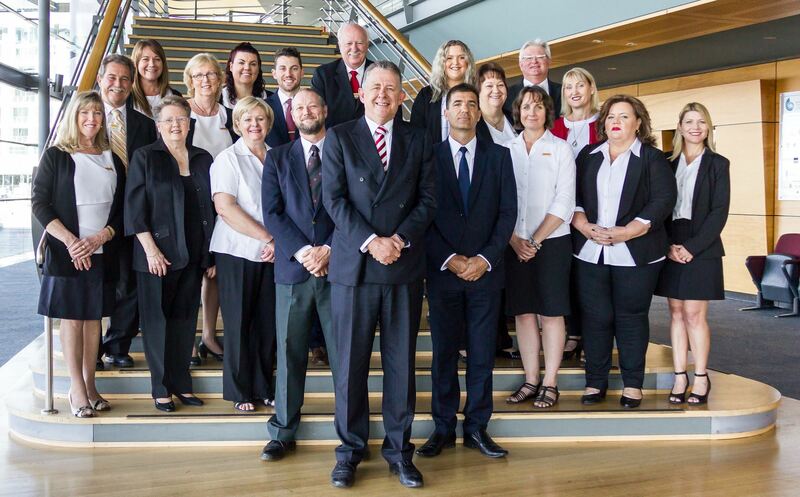 Today the agency employs 27 local property professionals, who each undertake Industry training each year to keep pace with the rapidly changing property market. If you are a property owner or plan to become a property owner from Secret Harbour to Lake Clifton and east to Pinjarra then we can help you achieve your goals. Contact one of our highly trained staff members today.